Your patients are important to us, and ensuring we receive their case safely is the first step to a successful case. Please follow the steps below to guarantee your case will arrive successfully! If you would like to send digital photos for your case, please check the box on the RX form and email us your photos with the name of the dentist and patient included so we can match the photos back to your case. Seal impressions, models and bites in sanitary bag. Carefully wrap models in bubble pouches. Put small items in a labeled envelope or vial. Multiple cases may be sent within the same package, but wrapped and labeled individually. Seal box securely using packing tape. Regular tape will not hold up through the shipping process. Call NDX Dental Art for a pickup, use our pre-paid label for the United States Postal Service (USPS), or ship your case via FedEx. Call us today at 1-800-444-3744 to see if your location is included in our free pick-up and delivery service. For those offices outside our route area, we offer pick-up and delivery services through the USPS or FedEx. Please consider sending multiple cases at once to save on shipping. If you choose to send your case through the USPS, Click here to download a pre-paid mailing label. Fill in the From section, including your name, address and phone number. There is no need to fill in the Sender's FedEx Account Number. Remove the peel-and-stick backing from the back of the label and place it on the box. Save the top page for your records. 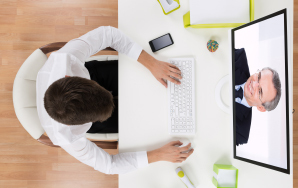 Call us at 1-800-444-3744 to schedule your FedEx pick-up and for our FedEx account number. 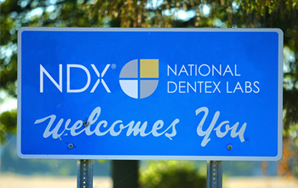 NDX Dental Art can accept digital files from almost every intraoral scanner on the market. Click here for directions on sending your scans to us. If you need more shipping labels, boxes, bubble pouches or RX Forms, call us at 1-800-444-3744 to order additional supplies. See why we have the best guarantees in the industry!